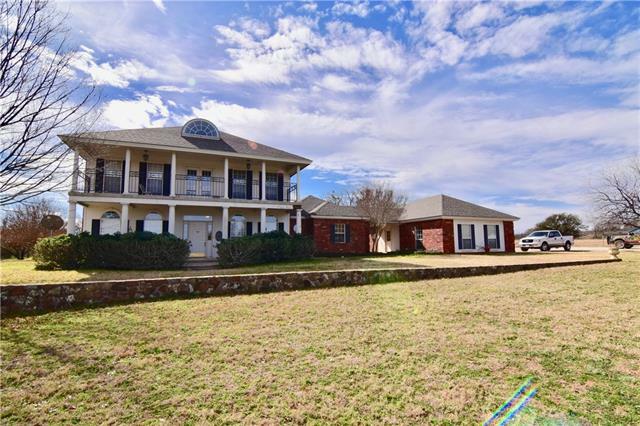 All Brownwood homes currently listed for sale in Brownwood as of 04/24/2019 are shown below. You can change the search criteria at any time by pressing the 'Change Search' button below. 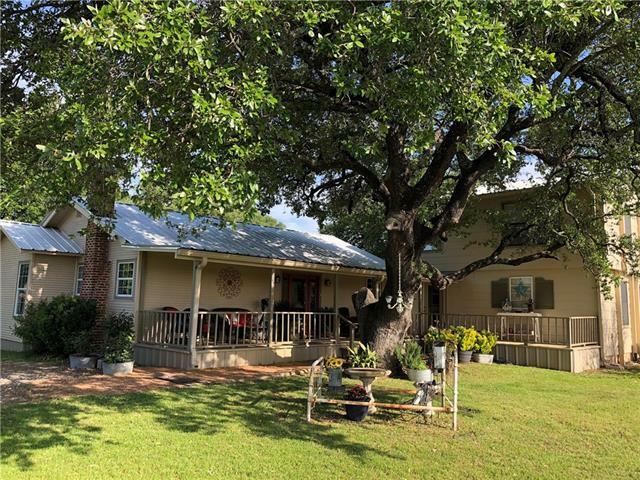 If you have any questions or you would like more information about any Brownwood homes for sale or other Brownwood real estate, please contact us and one of our knowledgeable Brownwood REALTORS® would be pleased to assist you. 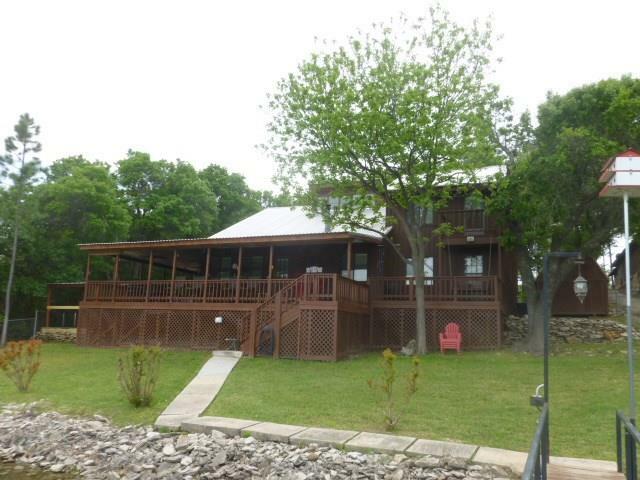 "Exquisite property on Beautiful Lake Brownwood. 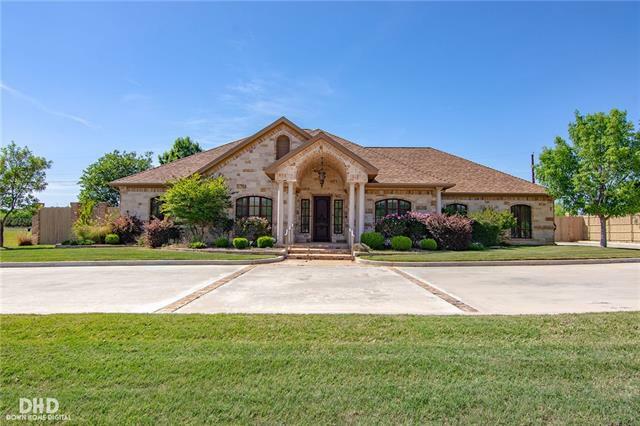 100+- acres with.5 miles of lake frontage & a luxurious 5000+- sq ft main home, saltillo tile & hand scraped hardwood floors 4 bed rooms with full baths, workout room , walk-in wine cellar, large great room, 2 fireplaces & beautiful garden room, inground pool swim up bar, outdoor lounge area & fireplace, outdoor kitchen , tiki hut bar with grill, large boat dock. The dock consist of 2 boat slips with power lifts & covers, 4 jet ski ports , bar "
"Amazing 687+- acres with custom home in Brown County. 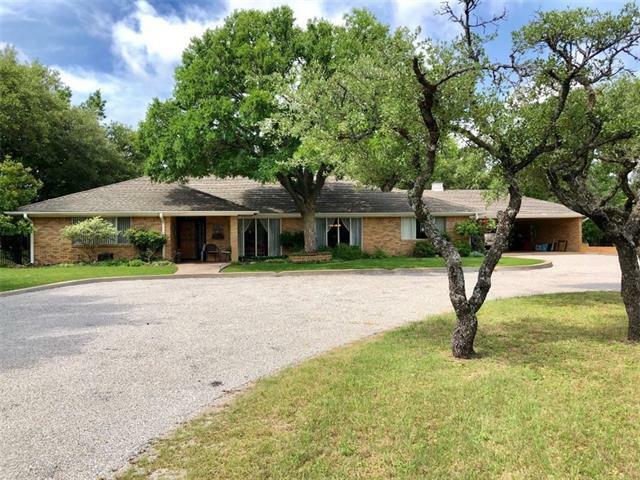 The home is nestled in the large post oak trees, with porches front and back, and pipe yard fence. It offers 3 bed rooms down stairs and one oversized bed room upstairs, 3 baths, kitchen, vaulted ceilings and more. The land is rolling terrain with high hills, amazing views, heavy cover, grassy meadows, Hog creek runs thru the ranch, 2 surface tanks and several smaller tributaries. 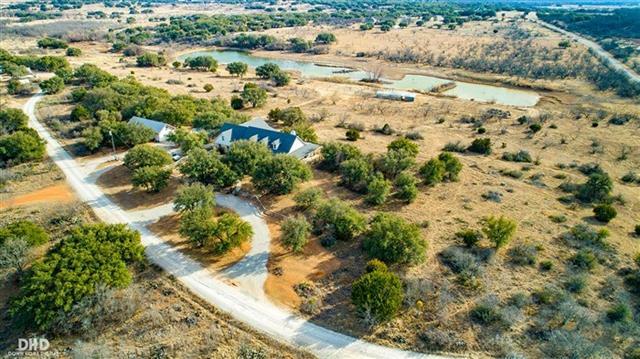 The cover the ranch consist of Live oaks, Post Oaks, Elms,"
"Custom Home on 235+- acres close to Brownwood. 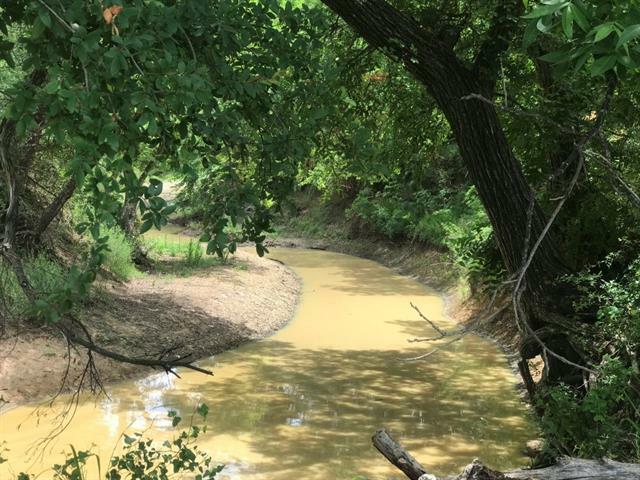 This ranch is located approx 5 or so miles south of Brownwood on paved county road. 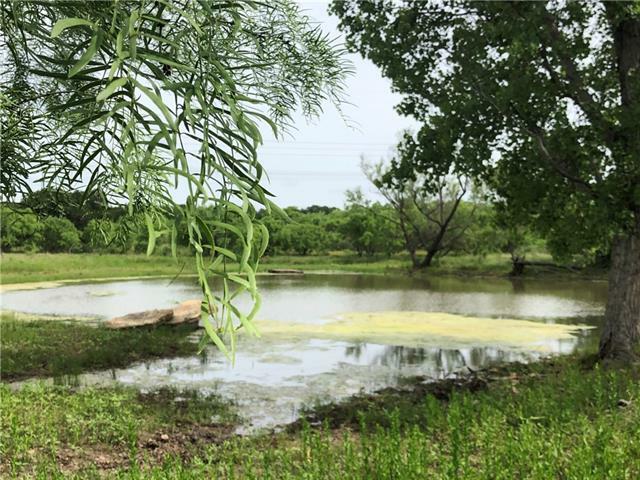 The ranch offers high hills, conservation lake, several surface ponds, abundance of live oaks, elms and mesquite. The front pastures feature bottom land with native grasses as well as Coastal Bermuda the other pastures feature heavy cover, high hills, creek draw, rock outcroppings, diverse terrain and more. The land around the home is beautifully landscaped. The "
"Beautiful custom built waterfront home for the ultimate lake experience! This home offers high end amenities with open concept kitchen, living & dining rooms. Enjoy amazing views of the lake, pool & countryside from the living room-kitchen, master & guest bed room. Easy lake access with rock and trex walkway to the dock. The dock is newly constructed with large boat slip & two jet ski slips (see pictures). This property is located on some of the best water on the lake. The outdoor living area of"
"With Incredible views, this Custom Lake Home on 3 acres welcomes you to your own private retreat. The kitchen features custom cabinets with glass doors, including an island for eating. The dining room is large enough for the whole family. Exposed Cedar Beams and the wood burning fireplace in the living area match the outside of the home. The master bedroom features a gorgeous ensuite with French doors leading to the lake. 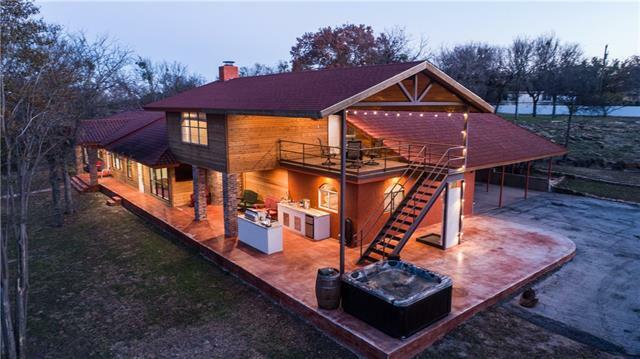 A short walk down to the waterfront features a fire pit area perfect for e"
"260 +- acres with 3 bedroom 2 bath home nestled under large oak trees. The home is located off of the road and overlooks the grassy pasture and one of the surface tanks. It offers vaulted ceilings, large open living room and kitchen, split bedroom arrangement and large rooms throughout. The land is slightly rolling to flat, with some scattered live oaks, 3 surface tanks, excellent fences, small barn with pens and storage building. Must See!!" 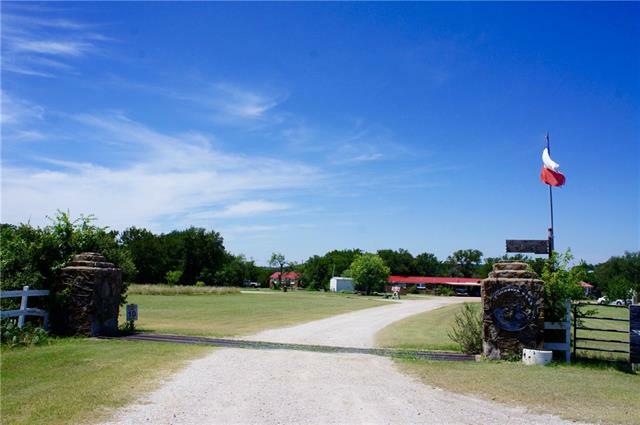 "This 179 +- acres excel hunting ranch with a 4 - 3 home, guest house, processing room, storage buildings, & more. 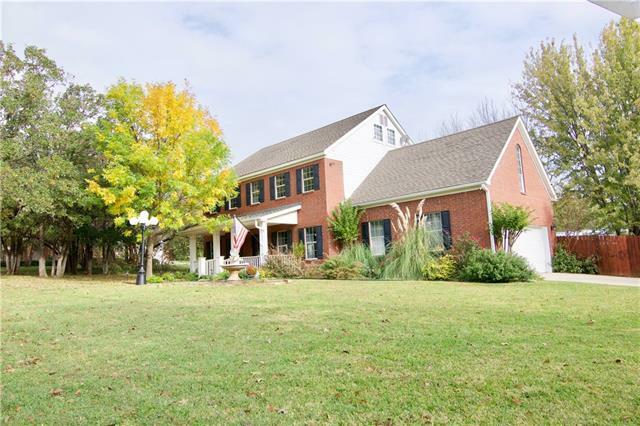 The setting for the home is beautiful with live oaks, windmill, rock cistern, & landscaping. The main house built in the early 1900 s, completely updated. Two living areas, dining, open concept kitchen adjoining one of the living areas, master bed & bath, extra bedroom & bath, & laundry area downstairs. The kitchen has granite countertops & stainless appliances. Upstairs, two bedr"
"167 ACRES BROWN CO. 2954 sqft. 4 BEDROOM 2 BATH STONE HOME! GREAT HUNTING!! Come take a look at a place that has it all. 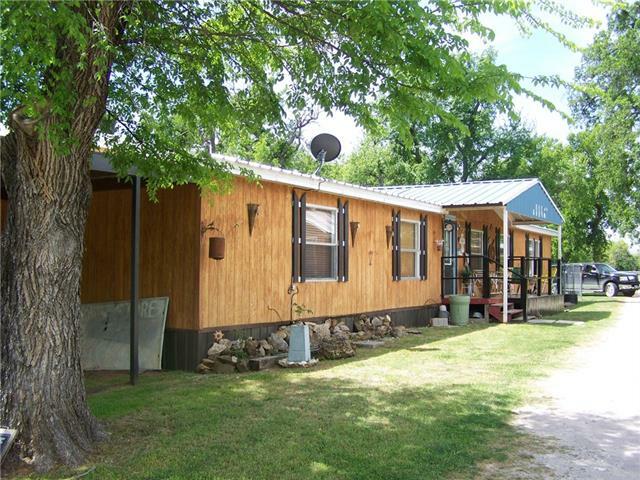 It has a newly updated home with a swimming pool still on top of the highest point on the ranch. You can come enjoy this place and get away from all the hustle and bustle to come to a place that is very quite and peaceful. The views from the home are truly amazing seeing way into the distance. The rooms in the house are large high ceiling rooms with a lot of shape and storage"
"This home on acreage is Amazingly Unique & yet surprisingly Inviting & Comfortable! Another John Manning Custom Masterpiece secluded in its own 7.8 acre sanctuary. This combination is a rare find of in-town convenience with country living solitude! The modern kitchen is equipped to prepare a holiday feast with gas cooktop, convection ovens & microwave plus stove top pot-filler to mention just a few of the prized accoutrements. 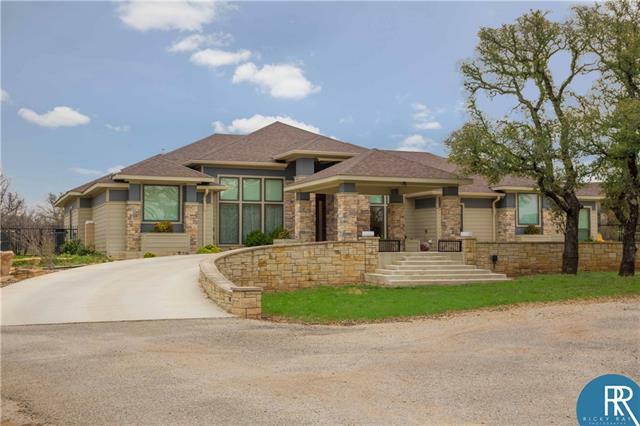 This master suite is designed for comfort & function from the overhea"
"Enjoy the view of beautiful Lake Brownwood from this hillside gorgeous Hill Country limestone home, on 3.78 acres with lake access and a private boat ramp. Majestic 2 story home is quality throughout & priced to sell at under building cost. Driveway & 3 car garage on top floor. Spacious den has cross timbered vaulted ceiling & fireplace. Relax on the wrap around balcony while you enjoy views of the lake. Living, dining, kitchen, 2 bedrooms and a utility room on the top floor. Downstairs you'll "
"PERFECT FOR A LARGE FAMILY THAT LOVES THE LAKE. HAS THE BIG 3, GREAT WATER, NEVER FLOODED, EASY ACCESS TO WATER. IMMACULATE HOME THAT CAN SLEEP A LARGE FAMILY OR FRIENDS. 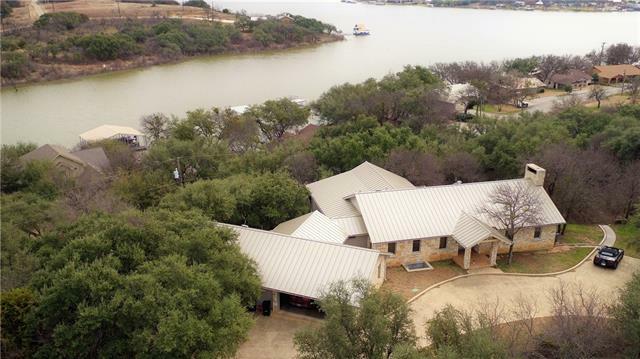 BEAUTIFULLY UPDATED, IMPRESSIVE OUTDOOR KITCHEN WITH HOT TUB, AMAZING VIEW, GREAT DOCK WITH BAR AND AIR LIFTS FOR BOAT & PERSONAL WATER CRAFTS. KITCHEN, MASTER BEDROOM, LIVING, HAVE WONDERFUL VIEWS OF THE LAKE. MEDIA ROOM, COZY LIVING SPACE WITH FIREPLACE, UPDATED KITCHEN WITH STAINLESS. NICE SIZE PANTRY. 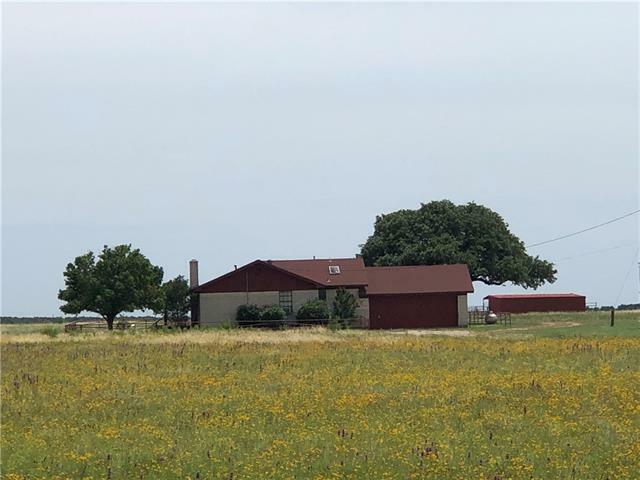 HAS OVER AN ACRE FENCE"
"Move in Ready Custom built home on 25.76 acres of wooded land just minutes South of Brownwood, Tx. The home has a roomy open concept feel about it with 3 bedrooms 3 baths with a huge 3 car attached garage. This home boasts a gourmet kitchen with eating bar open to its large living area with impressive stone fireplace and vaulted ceilings. Plenty of room to host with breakfast nook overlooking the property and formal dining room for holiday meals. The large master bedroom offers huge closets and "
"Awesome lake property that features a cute 2,1 home on deep water with nice boat dock, almost 5 acres, and storage buildings to rent out for income. The home is cinder block with a metal roof, CHA, full kitchen, fireplace, rural water, oaks around the yard, and lots of windows for great views of the lake. The boat dock has electricity and a boat lift. 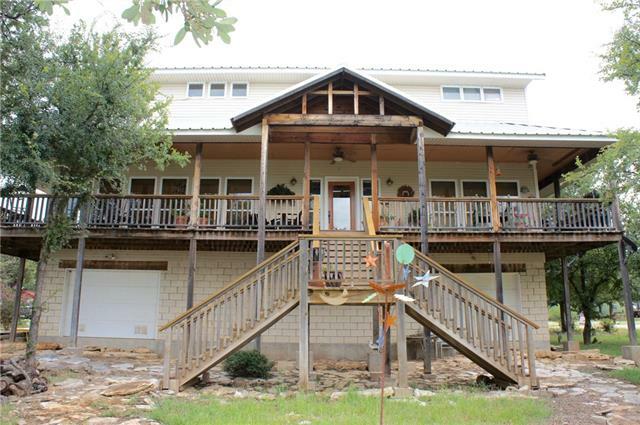 The acreage with the property has live oaks & has access to rural water and electricity. 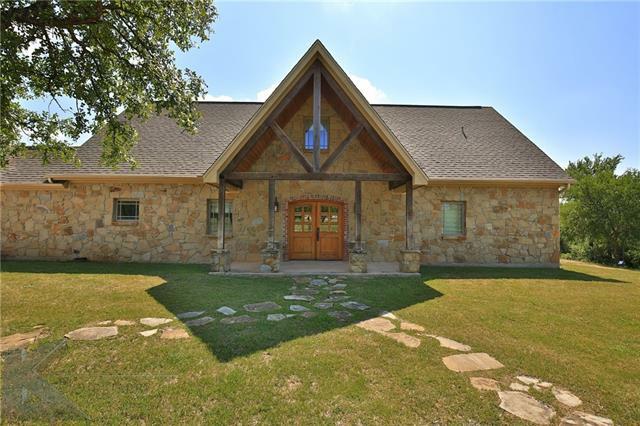 There are 14 storage buildings that are either rented ou"
"Stately home on 13+ acres just south of the Brownwood Country club, this is a custom home that features, beautiful open kitchen, large living room with fireplace, bonus living area is great place to gather with family, all bed rooms are large and have high vaulted ceilings, master is down stairs along with office, 2 living areas and formal dining room with breakfast nook, with 3 bedrooms, living area and balconies upstairs that have spectacular views. 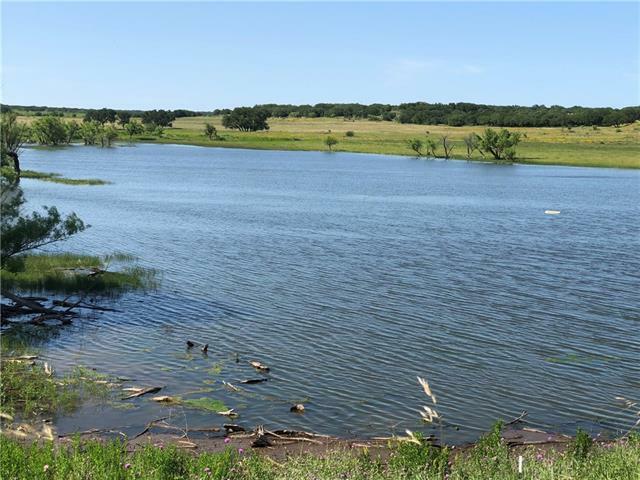 Land is just gorgeous with lots of oak trees"
"Thinking about building a new lake-front home on Lake Brownwood? Build it here! 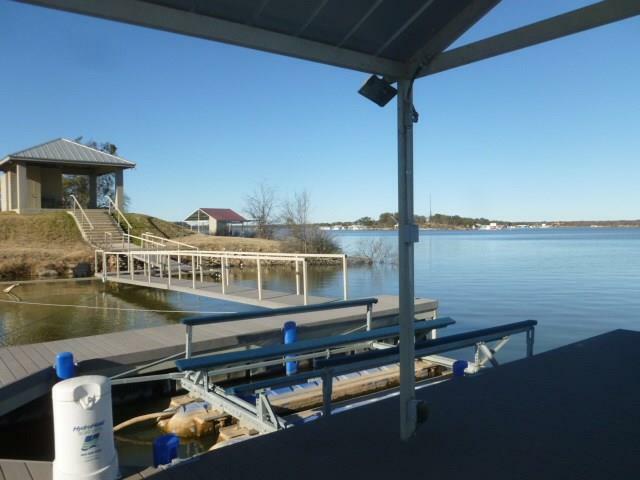 One of the best lots on Lake Brownwood with some of the deepest water. Formerly Lakehaven Marina, the property was subdivided into three deep-water, lake-front lots in 2008. 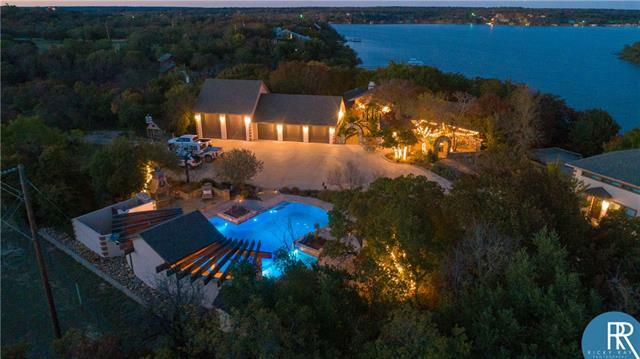 This is Lot 3 on the point with private gated entry, private boat ramp, cabana with bath, covered patio, boat dock with Hyrdo-Hoist lift and more than 350 feet of shoreline. Electricity, water and septic in place. 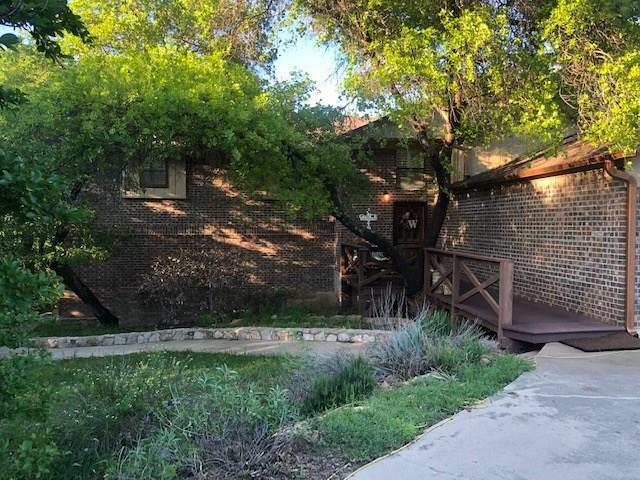 Panoramic lake views, total pri"
"Historical camp retreat on beautiful Lake Brownwood, This property is huge with over 12 acres, and many, many extras such as 5 individual old rock cabins that are one bed room one bath little get away that have the original charm but are in great shape, also has on over 2000 Sq. 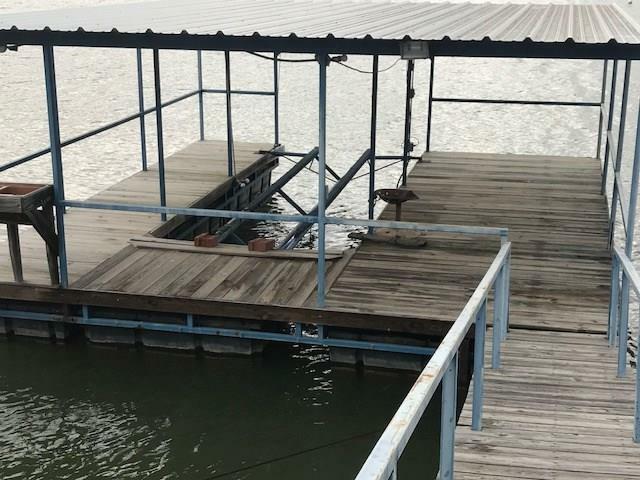 Ft bunk house for big gatherings and can sleep as many as 30, has large boat dock with good access to main body that boast some really great fishing and swimming! Property also feature a huge main home that can be used f"
"Lake home with a true artistic flare, this home is a lake lovers dream, the multi level construction is designed to deal with high lake levels, but gives the owner a commanding view of one of the loveliest spots on Lake Brownwood, Home has many extra features that include TRUE hardwood floors, wrap around deck, walk in pantry, wood burning fireplace and lots of room to have friends and family come see you at the lake! Bottom floor features a storm room and lots of floor space to park your lake t"
"Custom 3 bed 2 bath brick home on 59+- acres. This property is convenient to town but offers the peace and quiet of country living. The home has an open concept in the living, dining, kitchen and garden area, large bed rooms, and nice bathrooms, updated kitchen and 2 car carport. 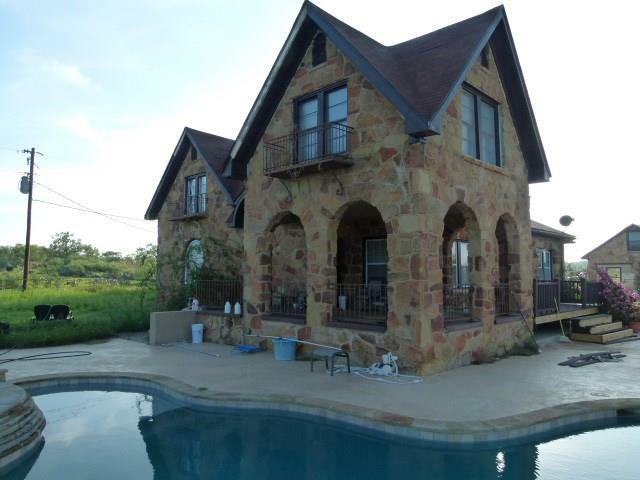 It sits atop the hill with amazing views of the ranch as well as the countryside. The yard is nicely landscaped. The land offer excellent cover of native brush, live oaks, elms, cotton wood trees, mesquite and more. " "A beautiful, custom-built home with more than 2,800 square feet of living area. Texas Blush rock exterior with Old Chicago brick rowlock, JELD-WEN Windows, Brick barrel-vaulted entry, Class 4 composition roof. Curbed circle drive. Custom kitchen cabinetry, fashionable grass-skirt wallpaper in dining room. Marble, hardwood, cork and carpet flooring. Ten-foot ceilings, huge master bath with jet tub, marble-tiled shower, double sink vanity and large walk-in closet. Smart-house electrical system, ga"
"Secluded in gated community, this lake home is in excellent condition with new flooring and new kitchen cabinets with granite counter tops. The rooms are massive with extra storage. Master bath has tub-shower, his-her vanities with sky lights. Huge, covered deck on top floor is choice deck and bottom deck is flat rock. Lots of flat rock landscaping, new single slip dock, priced for quick sale. HOA for road maintenance." "Let's go to the lake! Recently-remodeled lake house on gently-sloping half-acre lot in beautiful Cason Cove! Lots of parking on long, heavily-treed circle drive. More than 2,600 square feet of living area. Two-story ceiling in living-dining area. Updated kitchen with stainless-steel appliances, island and breakfast bar. Wood-burning stove, ceiling fans and wonderful lake views. Huge utility room with half bath. Game room perfect for ping-pong, darts, cards, etc. 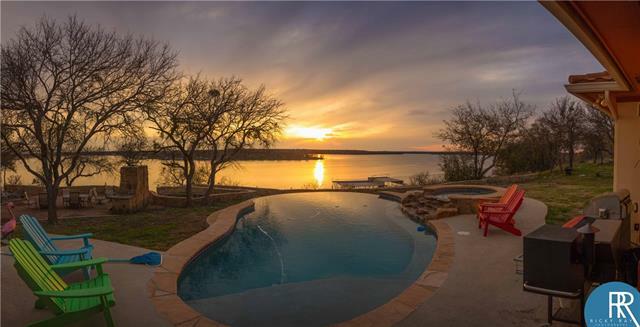 Covered lakeside deck with galvan"
"Beautiful inside and out this 4 Bdrm 1 full bath and 2 three quarter bath home sets on 4.37 acres in town. Lots of wonderful oak trees surround the home and the driveway up to the house has been just been resurfaced. Enter the front door into a wonderful entry way turn to your right into a large formal living dining room. Go left into the large open concept family room with fireplace and the kitchen is the cooks delight. The master bedroom is very large with a walkin closet and the other three b"
"Elegant home in great neighborhood! This home outdoor oasis featuring beautiful in ground pool with pebbie tec, hot tub, outdoor living area with outdoor lighting, and immaculately maintained landscaping. This fabulous home has 4 bedrooms, 3.5 bathrooms, 2 large living areas and full dining room, also has 3rd floor living room or office with walk in attic storage, Kitchen has beautiful travertine tile flooring, stainless steel appliances and granite counter tops, the home has many recent update"
"OVER 700 PECAN BAYOU FRONTAGE, 2 LARGE BOAT DOCKS, 2 RAMPS, 2675 SQ FT 2 STORY ROCK GROCERY STORE-CAFE W 3BR 1BA UPSTAIRS, ANOTHER 100 SQ FT DOUBLEWIDE W 2BR 2BA, 6 SELF CONTAINED CABINS, LARGE ENCLOSED SHELTER FOR DINING RECREATION, BATHROOM W SHOWER FOR RV SPACES, SEVERAL STORAGE BUILDING, MATURE LIVE OAKS, HOT TUB BLDG FOR 5. CABINS ARE FULLY FURNISHED SELF-CONTAINED HAVE LARGE COVERED PORCH...OLD CHURCH BUILDING TO BE REMOVED"